When Marnie Was There, the 1967 novel by Joan G. Robinson. It was #18 on Hayao Miyazaki's list of recommended children's books, so this shouldn't be a shock, although it's worth pointing out that Marnie will be directed by The Secret World of Arriety's Hiromasa Yonebayashi, as Miyazaki still maintains he's retired. 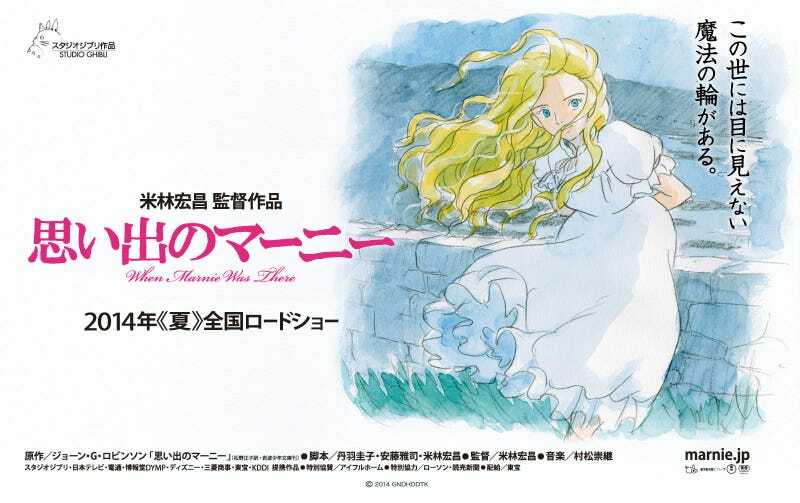 When Marnie Was There is due to premiere in Japan next summer.